Conversant is an online advertising company that specializes in personalized digital marketing. 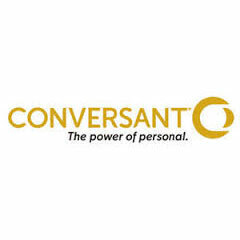 Conversant’s integrated platform includes a global affiliate marketing network and personalized media programs to help companies create unique experiences to connect with their customers. Conversant was formed through a merger of all the ValueClick family of brands -- Commission Junction, Dotomi, Greystripe, Mediaplex, and ValueClick Media. CJ Affiliate by Conversant (formerly Commission Junction) is a global affiliate marketing network, specializing in pay-for-performance programs that drive results for businesses. The CJ Network helps to reach and connect with millions of online consumers every day by facilitating productive partnerships between advertisers and publishers. SET by Conversant is a video advertising solution.